I’m a huge fan of virtual reality, but when I used the HTC Vive for the first time I found the trailing wires to be a bit of an issue. The problem is one that many people notice, especially during those games where users often make 360-degree turns. 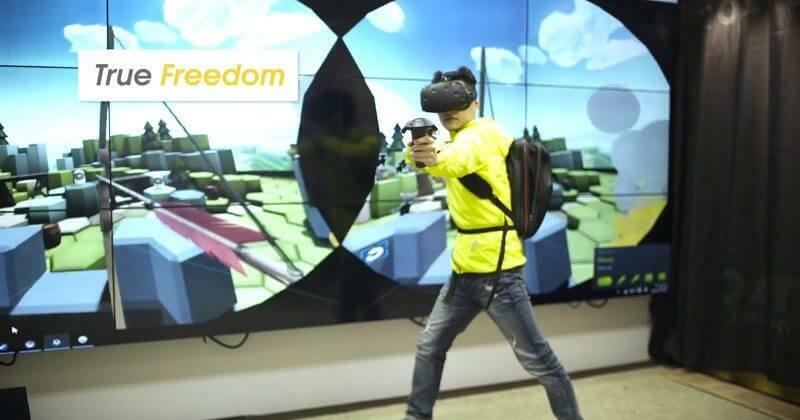 But now a solution may be at hand in the form of the Zotac Mobile VR - a mini PC jammed into a backpack that makes tripping over headset wires a thing of the past. PC specialist Zotac has stuffed one of its Zbox Mini PCs into a standard backpack as a way of bringing new levels of mobility to the Vive and Oculus Rift. The company hasn’t said which Zbox will be included, but it’ll obviously be high-end enough to handle the headsets’ requirements; it would be a surprise to see it contain anything less than a GTX 970 or equivalent. "No longer will you need to worry about tripping over cables or tangling your legs up as you finish your graceful 360," the company wrote in a blog post. "This mobile solution not only removes the bulk of connecting to the large traditional computer towers of old, but also allows the user to roam freely in VR with their undivided attention. This innovative solution includes a system powerful enough to drive VR, and a portable battery pack to keep you going." Zotac hasn’t revealed much else about the product, so we still don’t know how much it will cost, the launch date, battery details, and weight. But until technology advances to the point where it’s possible to connect VR headsets to a PC wirelessly, Zotac’s solution may be the best way to increase the feeling of immersion when in virtual reality space.